How early can you start your child when it comes to learning the art of Brazilian Jiu Jitsu? 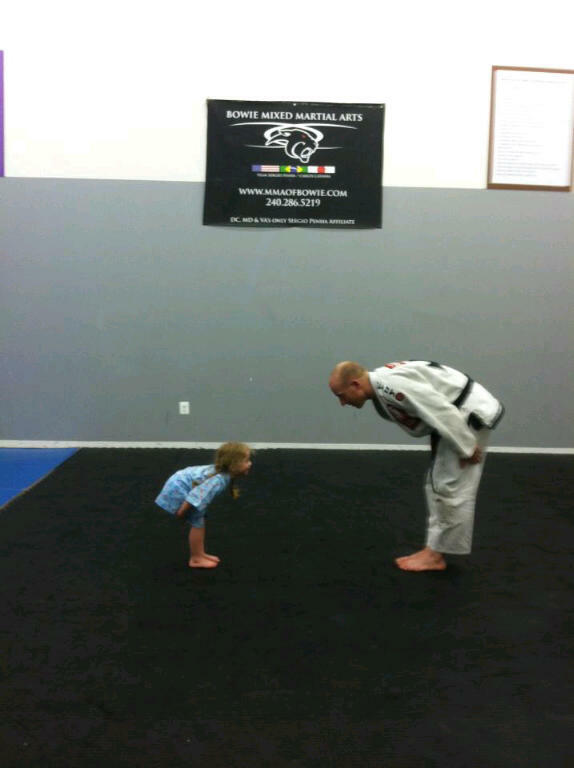 Brazilian Jiu Jitsu Black Belt Scott Montier is shown above with his daughter on the mat at Bowie MMA. We have classes for children and adults, so give the Bowie MMA team a call at 240-286-5219 or email us to learn about our beginner, intermediate and advanced Brazilian Jiu Jitsu training for kids and adults. The team at Bowie MMA congratulates Charles Cherry and Scott Montier on their recent promotion to Black Belt in Brazilian Jiu Jitsu under Carlos Catania of Team Sergio Penha. There are now three resident black belt instructors, one brown belt and two purple belts (along with many blue belts) who actively participate in class instruction, training and active grappling with students. To learn more about Brazilian Jiu Jitsu and submission grappling instruction in the Bowie – Crofton – Annapolis – Odenton area, call our staff at 240-286-5219 or email us! 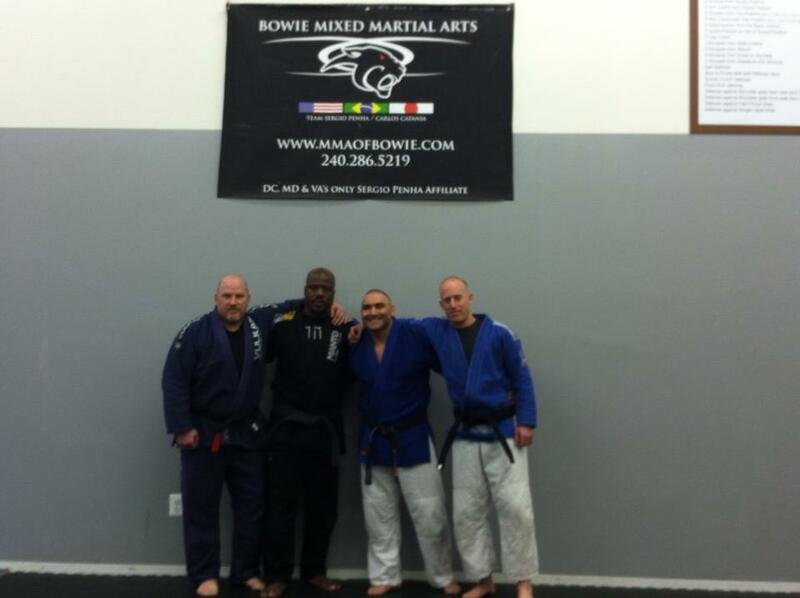 Bowie MMA Head Instructor Carlos Catania (2d from left) awards Charles Cherry and Scott Montier their Black Belts in Brazilian Jiu Jitsu.